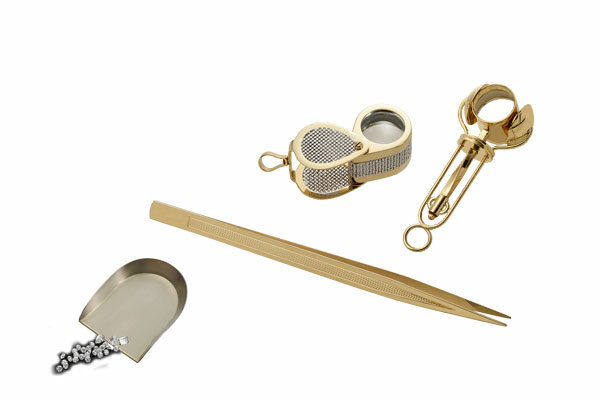 1 10X folding hand lens, 1 10X rotating hand lens, 1 tweezers and 1 small shovel. 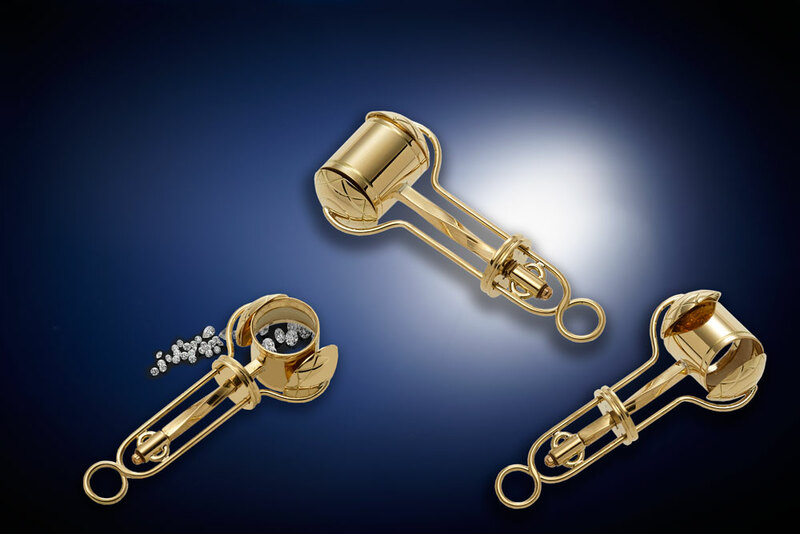 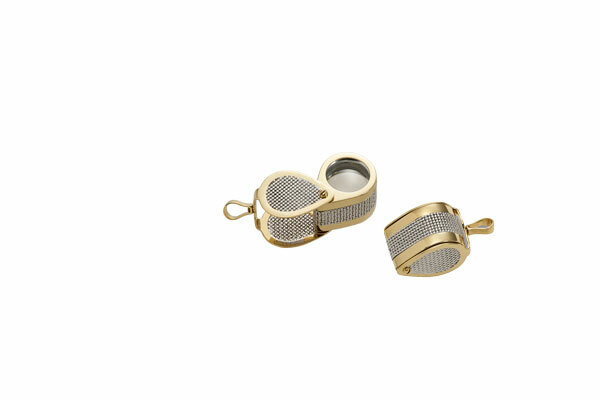 1 10X folding hand lens with parts in 18 karat yellow gold and white gold, “woven” manufacturing. 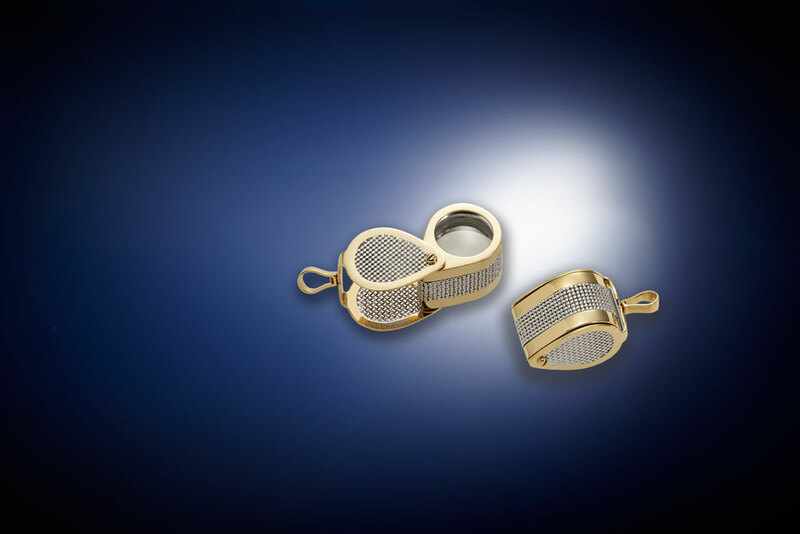 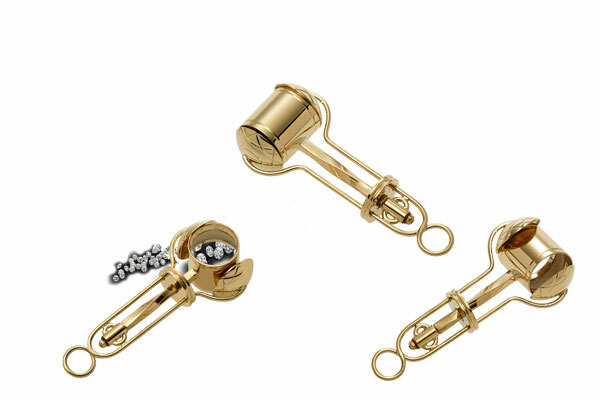 1 10X rotating hand lens in 18 karat yellow gold. 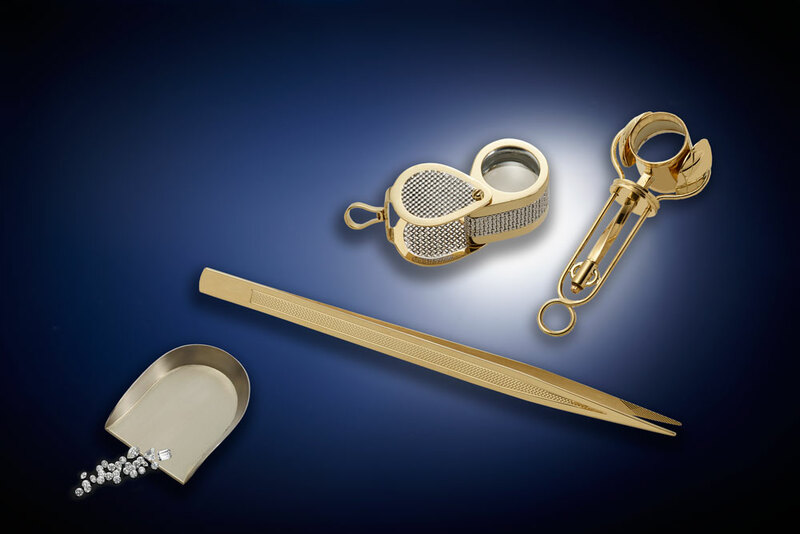 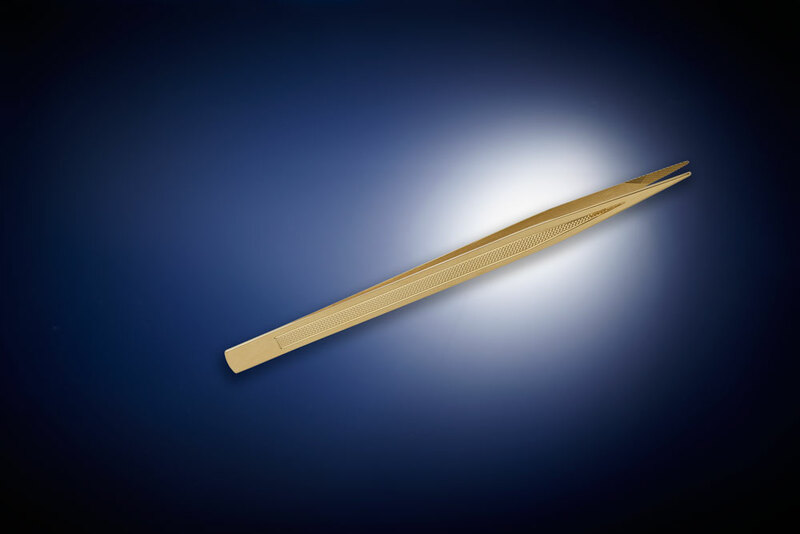 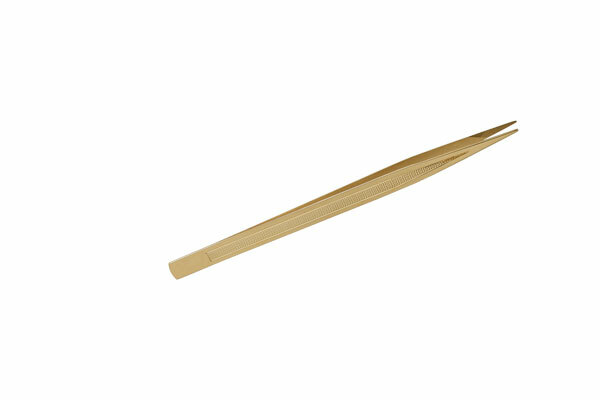 1 tweezers for precious stones in 18 karat yellow gold stones with Guilloché engravings. 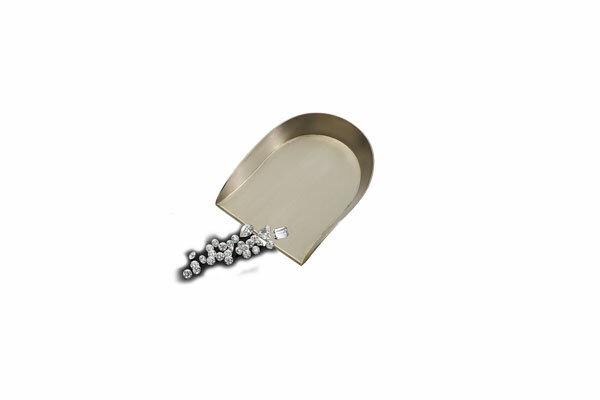 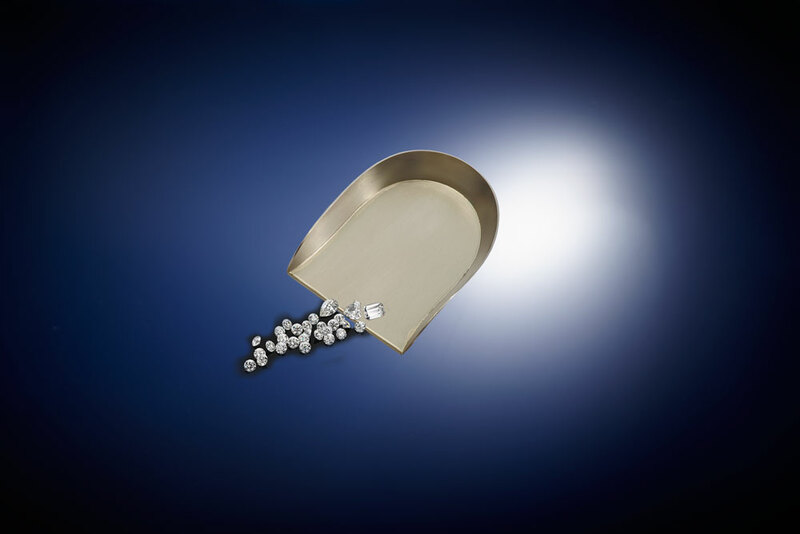 1 small shovel in 18 karat white gold.